Sales ServicesClose sales, sales support, application fulfillment, cross selling and upselling services, customer courtesy calling, business-to-business, and more. Businesses thrive on happy customers—ACT agents combine great customer experiences while right selling customers, creating long term satisfaction that builds brand loyalty and growth. With ACT as your customer communications partner, the answer is clear—treat every interaction as an opportunity to drive revenue and enhance awareness for your brand. Empowered with extensive training and support that provides them with detailed knowledge and confidence, our agents are able to connect with your base with the right message every time. Let ACT increase your profits by leveraging our experienced sales agents to drive results. Our Inbound and Existing Customer sales teams demonstrate the skills to close the right deal. Our extensive sales certification process ensures all agents demonstrate the skill sets to be successful in your custom program and provide an immediate impact. A customized workflow process ensures the highest degree of accuracy to quickly drive new account volume. ACT agents are available to process and complete inbound applications from all channels. Offer companion products or upsell your existing customers to a premium product or service. ACT agents can handle the most complex programs to ensure your customers receive the right product or service and the best customer experience. 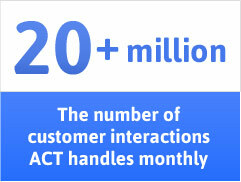 ACT agents have the experience to help your customer get the most out of your products and services. Onboard your customers by introducing them to the features and benefits of your product or service. Update your customer profiles and demographics with the most current information or enroll your customers for online access or set up auto pay. ACT provides you the flexibility to design a welcome campaign that fits your needs. Our agents assist sales teams by providing live support to process orders. ACT’s agents can receive orders or applications from a variety of channels including internet, phone or even door-to-door. ACT will provide the necessary support or validation to complete the process. 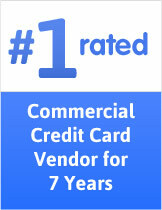 ACT specializes in Business-to-Business services, offering a wide range of solutions to maximize your profitability and customer satisfaction through the entire account life cycle. From initial engagement, closing a sale, fulfillment of orders, customer retention, dispute management, and everything in between, ACT makes it easy to outsource your commercial communication needs. We can support your staffing needs quickly to provide quality service with minimal interruptions to your organization. ACT believes “What gets measured gets done!” We leverage real time reporting to track results that properly motivate people and drive results for you. ACT provides excellent customer service by being an extension of your company.